Many flat commercial roofs have asphalt shingles that contain roofing granules. These are tiny particles that consist of graded crushed rock, porcelain, slag, slate or tile. 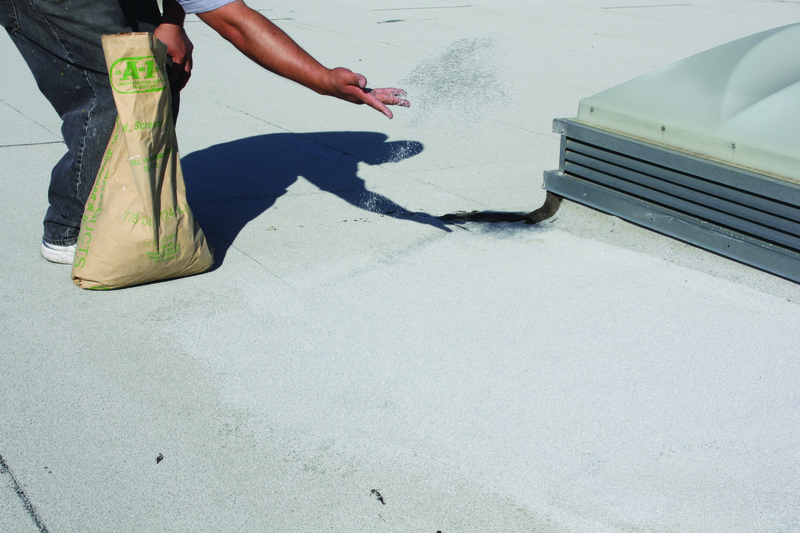 Roofing granules are used on flat commercial roofs for several reasons. Here are a few of their benefits, along with some conditions that can affect them. 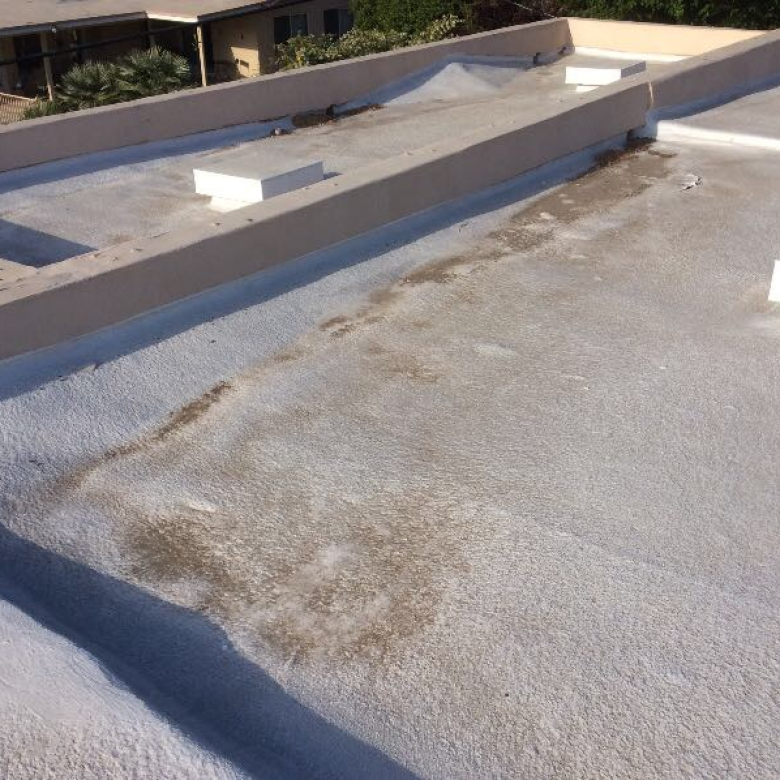 Roofing granules on flat commercial roofs offer several benefits. One of the main advantages of roofing granules is that they provide aesthetic beauty. This is the result of colors that have been blended together, giving a roof depth and a rich appearance. Besides cosmetic appeal, roofing granules also serve practical purposes. For example, they’re designed to protect the asphalt coating of shingles from harsh UV sunlight. Because roofing granules can make a roof cooler, this can mean having lower utility bills for your business. As a result, you’ll have more money for other expenses. What’s more, roofing granules provide fire resistance for shingles. Roofing granules are constructed with a ceramic coating. The granules that are most commonly used consist of ground-up molten rock particles, such as solid volcanic lava, basalt or granite. To obtain the proper granule size these particles are processed and then covered with a silicate mixture. Once this has been done, the next step is adding color to the mixture. After coating the granules, rotary calciners treat the coating so that it turns into a ceramic. This is done to make the shingles more durable, besides seals in the color. Furthermore, it also gives the final product additional aesthetic appeal. The type of natural stone that’s selected in making roofing granules is just as critical as the coloring process and the distribution of the particle size. The main qualities that are required are hardness, opacity to UV sunlight and the amount of iron content. In other words, an acceptable asphalt stone must be durable as well as opaque and rust-resistant. The stones have to be exceptionally durable and hard. In order to be suitable, the stones must be hard enough so that they can withstand foot traffic from building owners or contractors who have to walk on roof shingles. They must also be opaque enough, so harsh solar rays won’t be able to pass light through the granules. The best stones are darker ones, such as trap rock or gabbro, which is a dark, coarse igneous rock. These are better than quartz or granite stones, which are more likely to allow light to penetrate through them. The degree of iron content in a stone is just as crucial. To be suitable, a stone should have only a small amount of iron in its composition. This is to prevent iron from leaking out from granules, which can lead to rust stains on a roof. There are several factors that can cause granules to loosen and be removed from asphalt shingles. Pressure cleaning can easily blast granules from roof shingles. Intense winds and heavy rainfall can be factors. Even small hail can displace roofing granules. Foot traffic can also cause granules to dislodge. 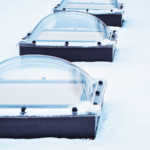 Don’t be too upset if you discover only a few shingle granules on the ground after a storm if your roof isn’t that old. But if it’s an older roof, and the majority or all the granules are gone, consider replacing it as this can be a big concern. One way to determine if your roof shingles need replacing is to go outdoors and examine the shingles. If you don’t see many granules on the shingles, it could mean that it’s time to replace your shingles. 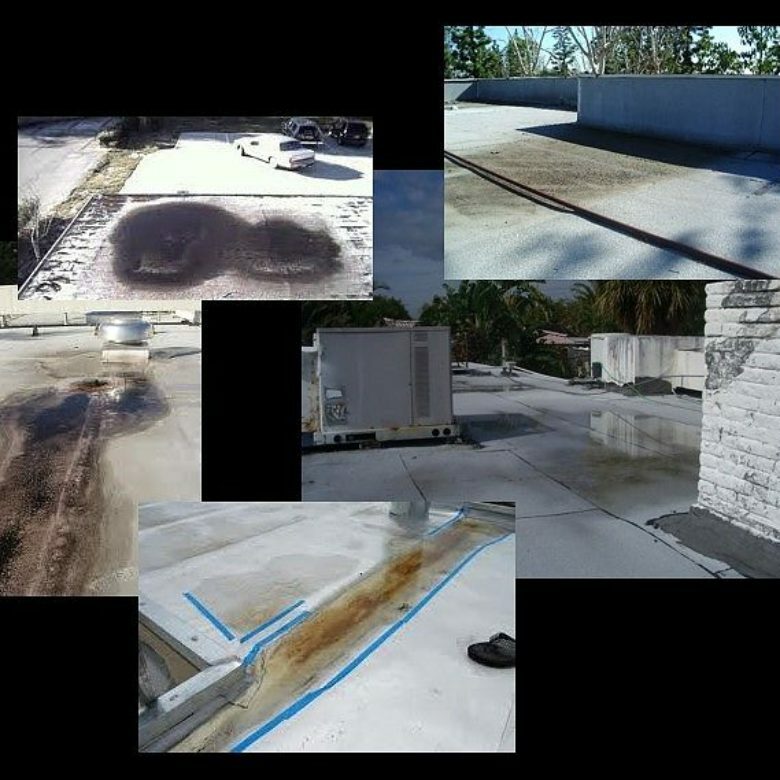 Do you have a flat roof on your commercial building? 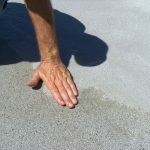 If so, it can be at risk for ponding water, which is the accumulation of standing water that remains on a flat roof for 48 hours or longer after rainfall. At RoofSlope we have an effective product that can prevent this problem. Please contact us and learn more about what we have to offer.